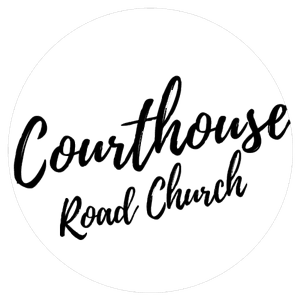 Welcome to Courthouse Road Church! Join us for worship this Saturday! As His church of Seventh-Day Adventists, we are one body with many members. Called from every nation, kindred, tongue and people. We are building bridges back to God each and everyday in hopes of serving Him and spreading His gospel. We invite you to join us this Saturday for a life changing worship experience! We believe we serve a loving God who reveals himself to us most clearly through the Bible. The Bible is our rule of faith and authority over our lives. In it we meet our Savior Jesus who lived, died and rose again, paying the price for our sins. He did this us for no greater reason than that He loved us! God's loving promise compels us to live out our values of integrity. By accepting those around us, fostering relationships with others and with God. We believe in providing a focus on community care, valuing our young people, and creating a safe and welcoming environment for all through prayer. It is our vision to be an irresistible influence for Jesus, where all people can come to experience acceptance, love and a personal relationship with Christ. We're all about relationships. We strive to cultivate and grow meaningful and positive relationships between one another, but also to go further by growing in our relationship with God. Christianity is all about a person, and less about a set of rules. That means that here at Courthouse Road Church our focus is much more about that relationship with Jesus, and less about the “rules” of religion. You're always welcome here! We want you to experience that safe place here at Courthouse Road Church. Wherever you're at on your journey with Christ, come as you are and bring your stuff to Jesus. We want you to experience acceptance here.